What a wonderful year it’s been. A big wholehearted thanks to each of you — for your presence and your support. I start thinking about the New Year, about setting new goals. But wait, I think it’s better if I start my end-of-the-year introspection with some gratitude for the year that is coming to an end. So thank you for this self reflection. One of the greatest gifts I’ve experienced this past year has been the opportunity to offer who I am. To so many, and I have been able to help so many with my gift, that I am so Thankful for. What am I most proud of this year? Is, I am proud of me because I allowed myself to change, to give up on what I can’t fix or change, in order to discover the world, and my true calling. My business. I can now say with all honesty, and truth, I have become a successful business woman. Of my own business. 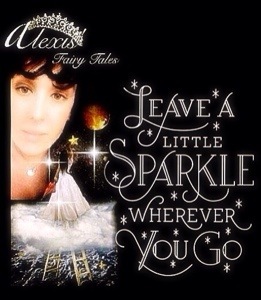 “ Alexis’ Fairy Teals “ In the year 2013, I have had 520 new clients. What a blessing. I started doing this, more like a hobby to relax and rewind at the end of the hard working day – and as my small effort to offer inspirational thoughts and promote optimism and positivity in otherwise negative environment. I am grateful to you all, for your amazing support, which includes about 90,000 views on my Facebook pages and website ,what wonderful Readers and Followers I have worldwide…really way above and beyond my small expectations. I am truly grateful. Have a Wonderful Happy New Year! So Bye Bye 2013! And Welcome 2014! Prev Post: We Human beings.